I was blocked this morning, as usual. Today my demon was telling me that I wasn’t clever enough to surmount the latest obstacle. It’s too much, too big, my brain’s too tired. I thought I’d go and shovel soil instead. 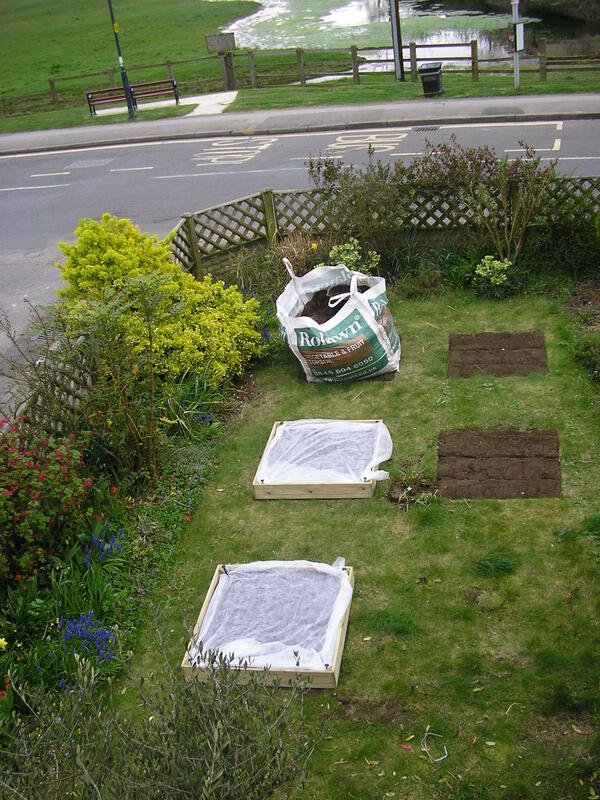 We’re building a potager in the front garden – a fancy solution to a dead lawn – and I’m Soil-Shoveller-in-Chief. It hurts. Bending over the huge sack and filling a bucket hurts. My lower back is killing me. And I would rather be doing that than writing? I had a bit of a word with myself, to see what the matter was. The inner writer was curled up in a corner, whimpering at the magnitude of the problem. I told her that I was very familiar with what she’s not good at, but would she like to tell me what she is good at? ‘Being there,’ she said, wiping her hand across her nose. So, right, get there. Large scale displacement activity going on in the front garden. I went back to work and put myself in my protagonist’s shoes, right into the moment, feeling, smelling, hearing what was happening. And the impenetrable wall wasn’t there any more. The latest raised bed, however, remains to be filled, and I’m off there now, legitimately finished with my writing session. For anyone working on the sixteenth century, there is a blog on Pepys which is a terrific resource. See the encyclopedia section on www.pepysdiary.com.